There’s no argument about it, using vitamin E on your face just works. As a natural protective component of your skin, it has proven beauty and anti-aging benefits. 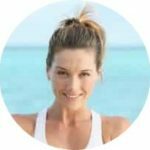 So, it won’t surprise you to hear that using a vitamin E cream on a daily basis to moisturize and nourish your skin is considered a great way to keep your complexion smoother and looking more youthful. But, there are a lot of different creams available on the market. 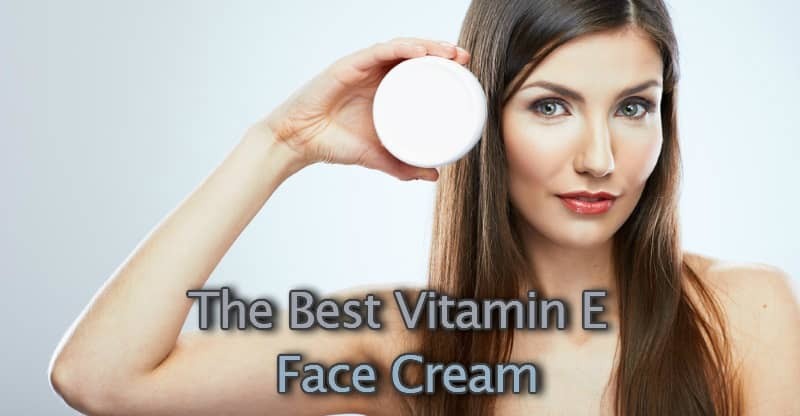 And, if you want to find the best vitamin E face cream you need to know what to look out for. And we’ll show you our favorite creams that you can get right now. You can see our full product selection below the buying guide. 1.1 What Is The IU? 1.2 What Other Beneficial Ingredients Does It Contain? The IU stands for International Unit, and it’s a measure of the activity level of the vitamin E in the cream. The higher the better. Some products don’t state the IU. And if you look closely at the ingredients list you will usually see vitamin E in the form of tocopheryl acetate far down the list of ingredients. Which is a clear sign that the amount it contains is only small resulting in a low activity level for the cream. So its effects will be limited. If you’re buying a good vitamin E moisturizer it’s because you want the full benefits that vitamin E has for your skin. So, we’ve only selected those products that clearly state the IU, contain a significant amount of vitamin E, and are able to be effective. What Other Beneficial Ingredients Does It Contain? A well-formulated moisturizer will contain other ingredients that help to hydrate dry skin. They will also sometimes have anti-aging properties and soothe inflammation. When looking at the ingredients, it’s the ones that are listed near the top that should especially catch your attention. You see, these will usually account for the majority of the total volume of the cream. Active ingredients that are listed there will potentially have the most effect on your skin. But, if it includes essential oils and extracts they will often appear further down the list as only a small amount is needed to be effective. We like to see lots of natural and organic ingredients in a skin cream. However, a small amount of chemicals are sometimes included as preservatives. And this is usually fine as well. We’ve listed some of the main complementary active ingredients present in each cream in our reviews. This vitamin E cream by NOW comes in a 4 oz jar. It’s 100% suitable for vegetarians and vegans, and is gluten free and paraben free. It has an activity level of 28,000 IUs. Aloe vera gel to moisturize the skin and soothe inflammation and irritation. Wheat germ oil, sunflower seed oil, and avocado oil to aid with moisturization. Grapefruit seed extract has powerful antimicrobial and antioxidant properties. Rhodiola extract has been added for additional antioxidant protection and its ability to help reduce the appearance of lines and wrinkles. This vitamin E moisturizing cream by Jason Natural Cosmetics comes in a 4 oz jar and has an activity level of 25,000 IUs. It’s a bit heavy on the skin, but still works well under makeup. Some people think that this is the best vitamin E cream for oily skin. Caprylic triglyceride is derived from coconuts and contains fatty acids that replenish the skin and prevent moisture loss. This face cream by Derma E comes in a 4 oz tub. It has an activity level of 12,000 IU and is a vegan and cruelty-free product. It can be used on the face and body and quickly absorbs without feeling greasy to help your skin retain moisture. It’s good for dry skin and can help to soothe skin irritation. Safflower seed oil, sesame seed oil, sunflower oil, and avocado oil moisturize the skin. Retinyl palmitate (vitamin A) has anti-aging properties and stimulates cellular regeneration. Allantoin hydrates, softens, and protects the skin. Organic Aloe leaf extract to soothe and moisturize. This face cream by Colonial Dames comes in a 6 oz jar. It contains 25% by volume of vitamin E which has been tested at 42,000 IU. This high potency cream is excellent at keeping skin moisturized. And is great at returning dry skin to a normal feel and appearance. This is the strongest cream in our selection and is good for all skin types including sensitive and oily skin. However, it doesn’t rank top of our list because it contains parabens as a preservative. Although parabens are considered safe by the FDA and cosmetic chemists, they have been the subject of some controversy. And some people prefer not to use products containing them. This facial cream contains 10,000 IU of vitamin E and comes in a 4 oz jar. This is a light cream compared to many others and is absorbed rapidly. It’s hydrating and leaves the skin feeling soft and smooth. Similar to the product above it contains a small amount of parabens as a preservative. It also has added fragrance. So it’s one to avoid if you find fragrances irritating. Sweet almond oil and avocado oil to help with moisturizing. Applying vitamin E is a great way to get the moisturizing (1) and anti-aging benefits that this natural ingredient has for your skin’s health. It helps to protect your skin from the sun (2), and relieves skin conditions such as acne and dermatitis. With daily use of face cream or the best vitamin E oil, the improvements in appearance can become visible quite quickly. To get the full range of vitamin E cream benefits it’s best to look for face creams that clearly state the IU level. This is the only way to know that the cream you buy contains a significant amount of the active ingredient. In our estimation, the best vitamin E cream for face care is the one from NOW. It combines a high level of vitamin E activity with many natural moisturizing additions.